Reality check: We are one month into 2016. As per usual, I'm right back into my monthly favourites posts and videos, because who doesn't like a little routine? Here are some of the products I have been loving over Christmas and the New Year! As you may have noticed on the blog for the past few weeks, I have been a little obsessed with Makeup Geek products. I'm not going to go too into this, because I feel like I have talked about it to death but I just wanted to quickly mention my love for these pigmented and buttery eyeshadows! I'm such a fan of the Skindinavia setting sprays so naturally, I thought I would try one of the Urban Decay ones as they are actually made by Skindinavia. I can say I'm just as impressed and I personally love to use a setting spray to set my makeup in place all day as well as used as a refresher throughout the day when I feel my makeup needs a little bit of a pick me up. 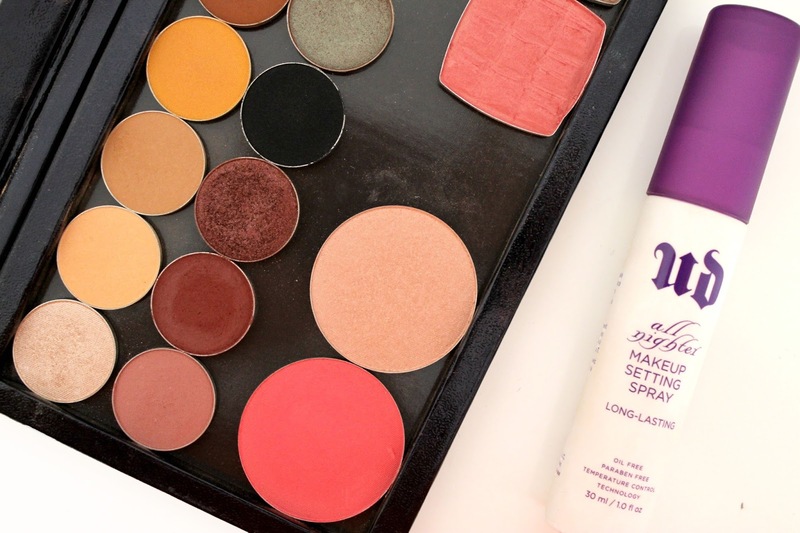 The primer to solve all of your eyeshadow dilemmas, this stuff is seriously like glue. I totally bonds pigments and duo chrome eyeshadows to the eyelid so you can totally rock a glittery eye without having to worry about looking like a glittery disco ball! I have always been a fan of the Nars 'Laguna' Bronzer but after falling in love with 'Casino' over the Summer, I don't think I could ever go back! 'Laguna' is quite a cool-toned shade (and while this makes it perfect for contouring), my heart has been stolen by the neutral-warm tones of 'Casino'. I can't believe it's the end of January! What are some of the products you have been loving this month? Thank you so much Tahana! Love your blog! keep in touch! Nice video! Would love to try everything out, especially the shadow insurance! I must try the mug products, so many great reviews! I'd also love to get my hands on a DIY palette. It's hard to find a palette where I love each and every shade! Aww Ella, I totally feel you! It wasn't accessible to me for a very long time but now that it is, I can't help myself! Sounds like a great roundup of awesome products. 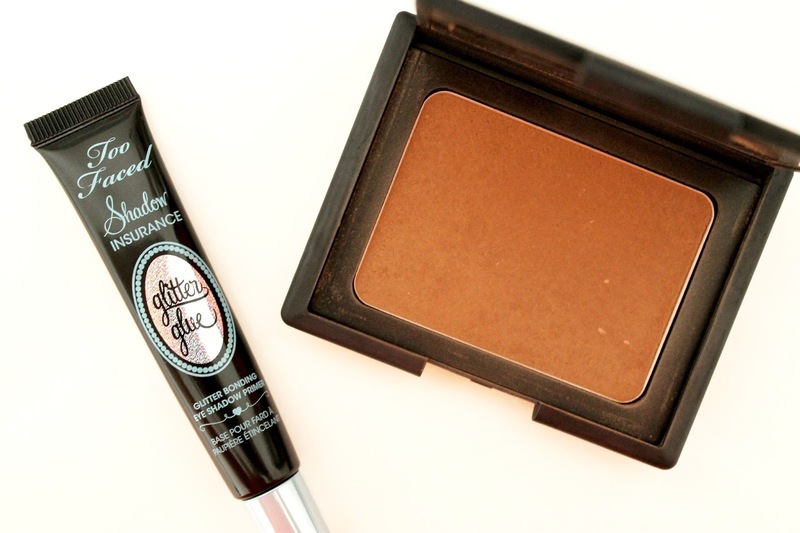 Really curious to try out that too faced glitter glue primer now! Thanks Rae, it's a fantastic product! All this stuff is seriously essential for those who wish to look better. The products you spoke about are truly fantastic. Wouldn't you mind to record your personal video? It would be much appreciated to watch you online. In order to make a beautiful make-up worth using a good professional tools that will help make it easy.